Sometimes taking a vacation is just not feasible for some families. 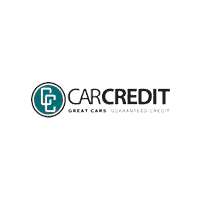 At Car Credit Tampa we understand the need to get away- but with time and financial constraints, it may not be that easy. A great and inexpensive alternative to hotels, amusement parks, and large shopping areas is camping. Campsites can be as cheap as $15 a day (depending on the type of site). Most sites offer electricity, picnic areas, and fire rings. Sitting around the fire ring, at night under the stars telling stories of our youth (or ghost stories) is a great memory for all, especially children. Florida has many options when it comes to camping. It can range from RV parks to primitive camping with no electricity available. What a great way to unplug in this day and age. The suggestions here are exactly that, suggestions. The Florida State Parks website is a great resource for camping and activities. This can be found at floridastateparks.org. We have highlighted a few camping sites around the Tampa area. Hillsborough River State Park in Thononassasa 112 sites with water, electric, picnic tables and fire ring at each site. 15 miles from Tampa. This park has fishing and places for you to canoe and kayak. Lithia Springs County Park in Lithia is known for its excellent swimming. This park is about 25 miles from Tampa. E.G. Simmons County Park (Ruskin) is located on Tampa Bay and 28 miles from Tampa. Most of its sites are waterfront. Each site has a fire ring, picnic table, water and electric hook-ups. There is a swimming beach and a launch for kayaks and canoes. Fort Desoto County Park and Campground (Tierra Verde) has 238 sites, most are waterfront with the ability to launch a canoe or kayak directly from your camping site and about 30 miles from Tampa. Myakka River State Park (Sarasota) is about 60 miles from Tampa. This is one of Florida’s oldest and biggest state parks. Biking, boating, and hiking are all popular here. 38 miles from Tampa is Starkey Wilderness Park (New Port Richey). This is a primitive campground (tents only) and has great biking. Make sure to do your homework and contact the camping ground before your adventure begins. Some places may have restrictions. Other campgrounds are on a first come first serve basis. You may want to call ahead to make sure that there is still space available. Rates are also different throughout the year, this may impact when you choose to take your trip. Do not forget to make sure your car is ready to set out on a trip. If you are unsure- or you think you may be due for service check our Car Credit Tampa’s service department. With hour Monday-Friday 8:00 am-5:00 pm we try to be flexible for those who need our service. You can call toll free (877) 696-8226 schedule your service appointment online.